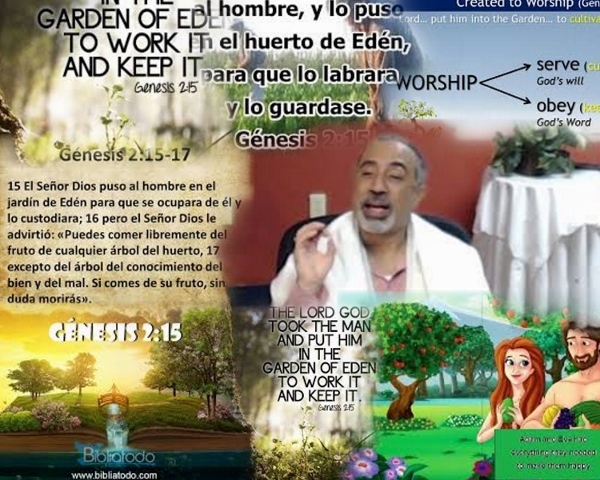 8 And the LORD God planted a garden eastward in Eden; and there he put the man whom he had formed. 9 And out of the ground made the LORD God to grow every tree that is pleasant to the sight, and good for food; the tree of life also in the midst of the garden, and the tree of knowledge of good and evil. 10 And a river went out of Eden to water the garden; and from thence it was parted, and became into four heads. 11 The name of the first is Pison: that is it which compasseth the whole land of Havilah, where there is gold; 12 And the gold of that land is good: there is bdellium and the onyx stone. 13 And the name of the second river is Gihon: the same is it that compasseth the whole land of Ethiopia. 14 And the name of the third river is Hiddekel: that is it which goeth toward the east of Assyria. And the fourth river is Euphrates. 15 And the LORD God took the man, and put him into the garden of Eden to dress it and to keep it. 16 And the LORD God commanded the man, saying, Of every tree of the garden thou mayest freely eat: 17 But of the tree of the knowledge of good and evil, thou shalt not eat of it: for in the day that thou eatest thereof thou shalt surely die. 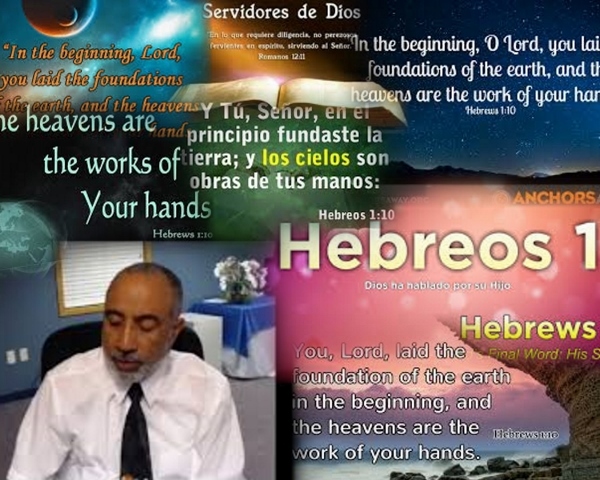 And, Thou, Lord, in the beginning hast laid the foundation of the earth; and the heavens are the works of thine hands: 11 They shall perish; but thou remainest; and they all shall wax old as doth a garment; 12 And as a vesture shalt thou fold them up, and they shall be changed: but thou art the same, and thy years shall not fail. 13 But to which of the angels said he at any time, Sit on my right hand, until I make thine enemies thy footstool? 14 Are they not all ministering spirits, sent forth to minister for them who shall be heirs of salvation? LIVE – LIFE MORE ABUNDANTLY – EVERY SUNDAY 11:30 AM. 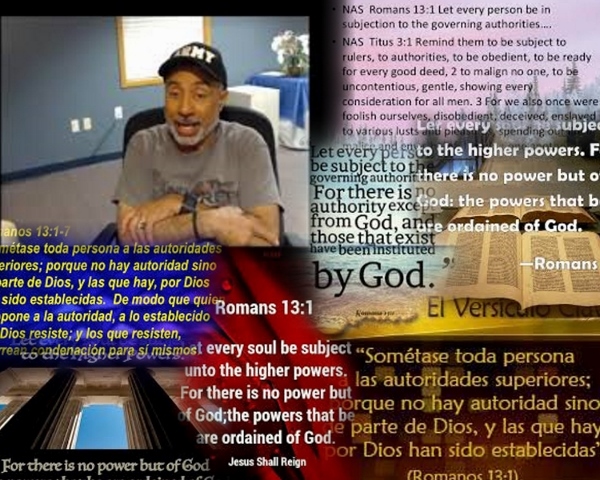 13 Let every soul be subject unto the higher powers. For there is no power but of God: the powers that be are dordained of God. 2 Whosoever therefore resisteth the power, resisteth the ordinance of God: and they that resist shall receive to themselves damnation. 3 For rulers are not a terror to good works, but to the evil. Wilt thou then not be afraid of the power? do that which is good, and thou shalt have praise of the same: 4 For he is the minister of God to thee for good. But if thou do that which is evil, be afraid; for he beareth not the sword in vain: for he is the minister of God, a revenger to execute wrath upon him that doeth evil. 5 Wherefore ye must needs be subject, not only for wrath, but also for conscience sake. 6 For for this cause pay ye tribute also: for they are God’s ministers, attending continually upon this very thing. 7 Render therefore to all their dues: tribute to whom tribute is due; custom to whom custom; fear to whom fear; honour to whom honour. 8 Owe no man any thing, but to love one another: for he that loveth another hath fulfilled the law. 9 For this, Thou shalt not commit adultery, Thou shalt not kill, Thou shalt not steal, Thou shalt not bear false witness, pThou shalt not covet; and if there be any other commandment, it is briefly comprehended in this saying, namely, Thou shalt love thy neighbour as thyself. 10 Love worketh no ill to his neighbour: therefore rlove is the fulfilling of the law. 3 For I say, through the grace given unto me, to every man that is among you, not to think of himself more highly than he ought to think; but to think soberly, according as God hath dealt to every man the measure of faith. 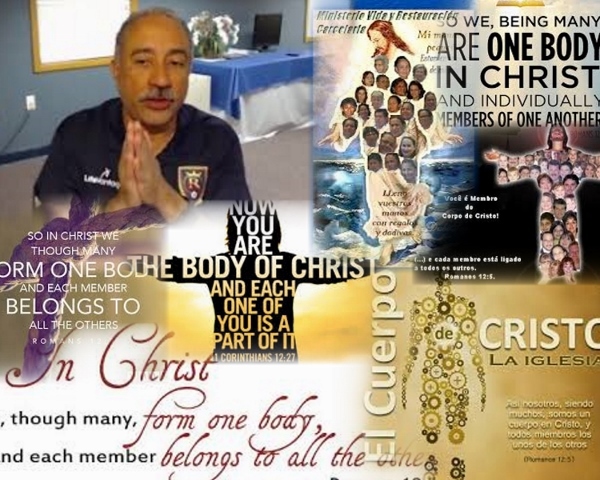 4 For as we have many members in one body, and all members have not the same office: 5 So we, being many, are one body in Christ, and every one members one of another. 6 Having then gifts differing according to the grace that is given to us, whether xprophecy, let us prophesy according to the proportion of faith; 7 Or ministry, let us wait on our ministering: or he that teacheth, on ateaching; 8 Or he that exhorteth, on exhortation: he that giveth, let him do it with simplicity; he that ruleth, with diligence; he that sheweth mercy, with cheerfulness. 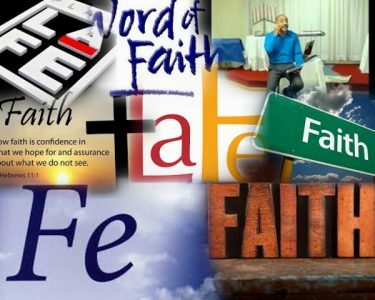 6 But the righteousness which is of faith speaketh on this wise, Say not in thine heart, Who shall ascend into heaven? (that is, to bring Christ down from above:) 7 Or, Who shall descend into the deep? (that is, to bring up Christ again from the dead.) 8 But what saith it? The word is nigh thee, even in thy mouth, and in thy heart: that is, the word of faith, which we preach; 9 That if thou shalt confess with thy mouth the Lord Jesus, and shalt believe in thine heart that God hath raised him from the dead, thou shalt be saved. 10 For with the heart man believeth unto righteousness; and with the mouth confession is made unto salvation. 11 For the scripture saith, Whosoever believeth on him shall not be ashamed. 8 And thou shalt return and obey the voice of the LORD, and do all his commandments which I command thee this day. 9 And the LORD thy God will make thee plenteous in every work of thine hand, in the fruit of thy body, and in the fruit of thy cattle, and in the fruit of thy land, for good: for the LORD will again rejoice over thee for good, as he rejoiced over thy fathers: 10 If thou shalt hearken unto the voice of the LORD thy God, to keep his commandments and his statutes which are written in this book of the law, and if thou turn unto the LORD thy God with all thine heart, and with all thy soul. 11 For this commandment which I command thee this day, it is not hidden from thee, neither is it far off. 12 It is not in heaven, that thou shouldest say, Who shall go up for us to heaven, and bring it unto us, that we may hear it, and do it? 13 Neither is it beyond the sea, that thou shouldest say, Who shall go over the sea for us, and bring it unto us, that we may hear it, and do it? 14 But the word is very nigh unto thee, in thy mouth, and in thy heart, that thou mayest do it. 15 See, I have set before thee this day life and good, and death and evil; 16 In that I command thee this day to love the LORD thy God, to walk in his ways, and to keep his commandments and his statutes and his judgments, that thou mayest live and multiply: and the LORD thy God shall bless thee in the land whither thou goest to possess it.